Winnie Harlow walks the Runway at Fashion for Relief Cannes 2018 during the 71st annual Cannes Film Festival at Aeroport Cannes Mandelieu on May 13, 2018 in Cannes, France. 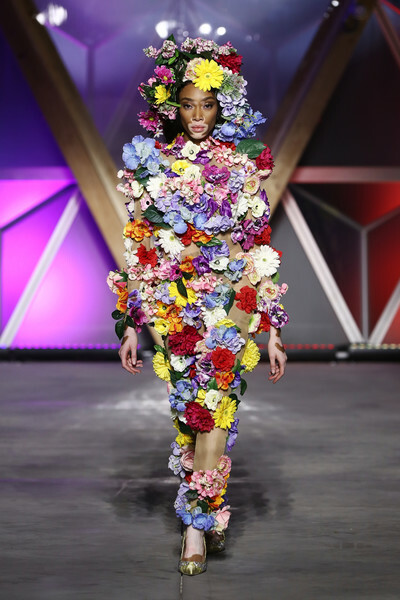 Winnie Harlow showed off a head-to-toe floral look during the Fashion for Relief runway show. A pair of gold pumps completed Winnie Harlow's look.